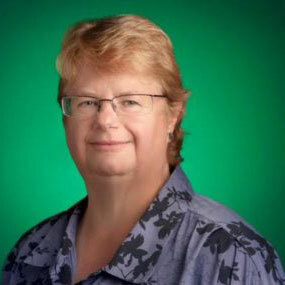 The Head of Computer Science Education Strategy at Google. In this role she works with internal Google teams and external computer science organizations globally to improve computer science teaching and learning. 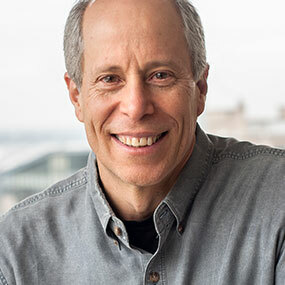 From 2004 to 2014, Stephenson was the founding Executive Director of the Computer Science Teachers Association (CSTA), a professional membership organization of 22,000 educators dedicated to improving K-12 computing education. Previously, she held positions at the University of Waterloo and the University of Toronto. Stephenson has consulted on the development of computer science learning standards in many countries including, Australia, Canada, Ireland, New Zealand, and the United Kingdom. 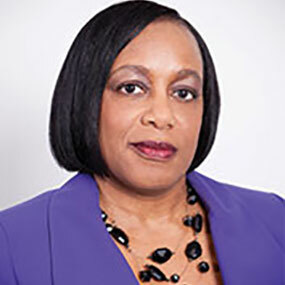 She has served as Chair of the ACM K-12 Task Force, President of the International Society for Technology in Education’s Special Interest Group for Computer Science and as the Computer Science Curriculum Advisor for Learning & Leading with Technology magazine. Stephenson has numerous research publications in the field of computer science education and has written several high school textbooks on computer science and computer engineering. Stephenson serves on the ACM Education Board, the ACM Education Policy Committee, and the Editorial Advisory Board for Inroads Magazine. She is a Senior Member of ACM. Stephen is a private investor with interests in impact investing and education. For 30 years he was involved in the family retail business and now holds governance positions within the organisation. He has been involved in impact investing since 2002 and founded Willows Investments in 2008 with the aim of supporting promising ventures with a social mission. He serves on the boards of Social Stock Exchange (UK), responsAbility AG (Zurich) and Sutton Trust (UK). He is on the supervisory board of the European Climate Foundation (The Hague) and is a trustee of The Mentoring Foundation (UK). 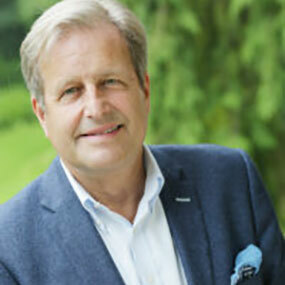 He is on the advisory boards of Auticon (UK) and Econnoa GmbH (Germany). Steve brings more than 30 years of Human Resources and leadership experience to his current role as Managing Partner of Bucherati & Hildebrand, LLC, including more than a decade as the Global Chief Diversity Officer for The Coca-Cola Company, working across more than 200 countries. Steve’s leadership in this space stretched across workplace, marketplace and community-based initiatives, including work related to global women’s initiatives, multicultural initiatives, diversity education, diversity communications, employee Business Resource Groups, alternative dispute resolution processes, Workplace Fairness initiatives, and Equal Opportunity and Affirmative Action programs. During Steve’s tenure as the Global Chief Diversity Officer, the Coca-Cola’s diversity, inclusion and workplace fairness programs were recognized by external organizations as best-in-class, winning numerous external awards, including the prestigious Catalyst Award in 2013 for Coca-Cola’s Global Women’s Initiative, as well as recognition as a top company for diversity from organizations such as Black Enterprise, The Human Rights Campaign and the Hispanic Association for Corporate Responsibility. Steve was also a member of the Conference Board’s Global Diversity & Inclusion Council and is the former Board Chair of the Equal Employment Advisory Council. Erin Cooper is a finance and treasury executive who has achieved notable recognition over 23 years building and leading top-performing, efficient and cost-effective operations for global organizations. She served as Director of Corporate Treasury at Blackboard and Treasurer at Digital Intelligence Systems. She is a multifaceted professional, known for her strong background in bridging foreign languages and finance operations to open needed dialogue regarding diversity and inclusion in historically one dimensional professions. She holds a masters in Spanish Linguistics from The Pennsylvania State University and not only speaks Spanish with native proficiency but also speaks Italian, Portuguese and French and as she puts it, “dabbles in” Farsi and Arabic. It is her drive to push the envelope and think outside the box that has always been at the core of her mission to encourage others to be courageous and limitless. Erin leads organizations in change management strategies that focus on creativity, sensitivity and mentoring to illustrate there is always more than one path to a goal. “Create a vision, embark on the mission and achieve a endless array of success” is the inspirational message Erin infuses into corporate cultures. She is Strategic Financial Advisor to Julie Kantor, CEO of Twomentor, LLC and Corporate Business Advisor to Rehoboth Global Solutions, LLC. Jenn is a Vice President of Human Resources with Anthem, INC.
She serves on the senior leadership team of both the government business division and the commercial and specialty business division. Her team of human resource business partners are responsible to execute the human capital strategy for over 30,000 associates delivering over $70B in annual revenue. Additionally, Jenn is the majority partner in a new organization providing transition support services to our military service members. Regroup Veteran Solutions is in their first year of operations, delivering practical solutions to companies that seek to employ veterans and delivering supportive services to veterans who seek a transition into the private sector. While on the executive leadership team of New Signature, a technology systems integrator, Jenn designed the team’s strategic planning process, leadership operating framework, and performance management system. 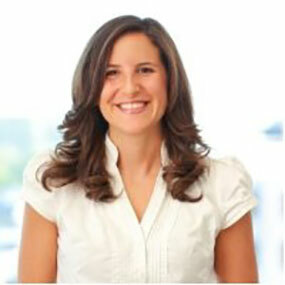 Jenn is known as an innovator, not afraid to take risks and to trust her team to find solutions. Over the past 10 years Jenn has provided board leadership to a few non-profits. Multi-cultural Foodservice & Hospitality Alliance, Network for Teaching Entrepreneurship (South Florida), and Year Up National Capital Region Alumni. Jenn earned certification as a Senior Professional in Human Resources through the Society of Human Resources Management; she’s remained a certified member in good standing since 1999. She is a graduate of the Center for Leadership program at Florida International University, earned her Master of Science degree in Human Resource Development from Villanova University and her Bachelor of Science degree in Human Resource Management from Messiah College. Jenna Gebel is a purpose-driven Wharton MBA Candidate who has deep experience in corporate responsibility, entrepreneurship, fundraising, and workforce development. Prior to Wharton, Jenna worked at Goodwill Industries International where she helped build relationships with key partners and secure over $33M to advance Goodwill’s mission of helping people advance their careers. Most recently, Jenna launched the LeadUp, a company that provides immersive experiences for millennial leaders to access mentors and coaches, align their goals with their actions, and develop leadership skills through positive psychology and mindfulness workshops. 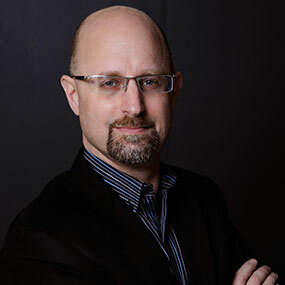 Dan Goodman is a serial entrepreneur, consultant, advisor and educator. He has held leadership roles in several fields including industrial product development, technology commercialization, renewable energy, venture capital, and organizational development. Dan is the CEO of Relativity Sciences, Inc., a 10-person consulting and training firm providing culture change services in the areas of entrepreneurship, innovation, and customer intimacy to Fortune 500 companies and government organizations. He has been an advisor and consultant to well over one hundred companies, from startups to venture capital firms to Fortune 100’s on entrepreneurship/entrepreneurship, strategy, commercialization, and culture change, and is a frequent lecturer and trainer on these topics. Dan also serves as the Entrepreneur-in-Residence for the University of Maryland, College Park’s Division of Research, where he advises senior university leadership on commercialization strategy for the 4500-researcher, $500M/year research enterprise. Dr. Andrea Hendricks is assistant vice president, deputy director of the Office of Minority & Women Inclusion (OMWI), and secretary and advisor to the Federal Reserve Bank of Kansas City’s Management Committee. Andrea leads a broad portfolio of work, including employee engagement programs, EEO programs, organizational development, and diversity and inclusion programs. Dr. Hendricks joined the Bank in 2014 as deputy director of OMWI and manager in the Human Resources Department. Andrea brought with her extensive experience and expertise in diversity and inclusion, organizational development, and community engagement. Over the past 20 years, Dr. Hendricks has worked in the non-profit, higher education and financial services sector leading diversity, development and training strategies and programs. She joined the Bank from UMB Financial Corporation where she led diversity and inclusion programs across a 10-state region. Prior to UMB, she served as vice president of Programs and Services for the Urban League of Greater Kansas City, president/CEO of the Don Bosco Community Center and associate dean of Student Services at Penn Valley Community College. She also has held administrative positions at the University of Missouri-Kansas City and Kansas State University. Dr. Hendricks holds a Bachelor of Science in Human Development Psychology and Mass Communications from Kansas State University, a Master of Science in Counseling Psychology from Kansas State University, and a Doctorate in Psychology and Policy Analysis from the University of Missouri-Columbia. 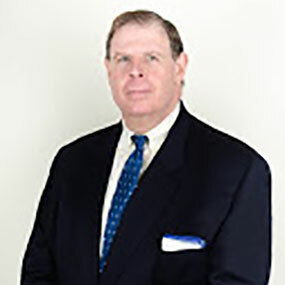 Frank Howard, Jr., is a founder & CEO of Howard Consulting Group, Inc. (HCG), a strategy firm with offices in Washington, D.C. and San Francisco, with an affiliate office in London, England. 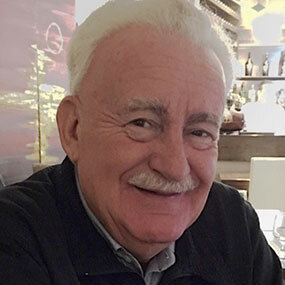 In addition to his primary company, Mr. Howard is the Chief Operating Officer and General Partner with Global Strategic Partners, Chairman of the Board, Global Registration, LLC and a Strategic Advisor/Board Member of Spark Motion and Countable. A serial entrepreneur for more than 25-years, with years of professional roles in politics and political campaigning, Mr. Howard provides strategic counsel and tactical planning and management for his various domestic and international clients. Prior to his professional endeavors in public affairs and politics, Mr. Howard worked in corporate finance, investment banking and global health communications. 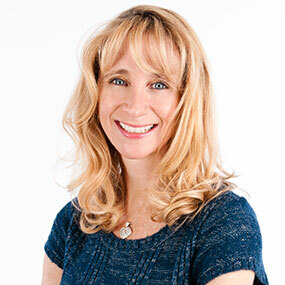 Holly Landau is a Leadership and Organizational Development Expert. She is the featured Leadership Expert in the American Express OPEN Book on Leadership, is a contributor to several business blogs, and has been quoted in the Harvard Business Review and the Wall Street Journal. She is a former US Army Officer (serving mostly at The Pentagon). She is a regular guest speaker at conferences, leadership strategy sessions, virtual sessions, and in corporate classrooms facilitating highly-interactive workshops on popular topics like innovative thinking, authentic leadership, and positive psychology at work (leveraging your strengths and resilience to boost job satisfaction and improve work relationships). Her engaging and humorous speaking style motivates people to take action, face challenges, and think differently. She was the curator and MC for TEDx BroadStreetNY, she spoke about leadership at TEDx Princeton, she led breakout sessions about workplace resiliency at the Chief Learning Officer Symposium in Miami, and she motivated hundreds of women on the topic of leadership at the Count Me In conferences in Philadelphia and Denver. She coaches and advises other leaders on how to move from their current state to desired state, and how to create a mindset of achievement, intention, and growth for themselves and for their organizations. Her engagements center around high personal accountability and proven goal-setting strategies, which are essential components for clients to realize organizational potential, personal potential, and life potential. She is the Leadership Mindset columnist for Inc. Magazine, and is an instructor & strategy coach for Inc’s online entrepreneur-ship education program, Inc.Edu, which leads start-up entrepreneurs through an intensive business growth curriculum. Marissa is the author of “My Company ROCKS!” Eight Secrets to a Growth-Driven Culture That Keeps Employees Happy & Engaged”. She’s also the author of the #1 best-selling book, “Built to SCALE: How Top Companies Create Breakthrough Growth Through Exceptional Advisory Boards”. The book leads businesses owners through her SCALE™ Model to strategically select, compensate, associate, & leverage advisory boards for breakthrough growth. Marissa is also Smart CEO Magazine’s syndi-cated columnist, penning a column entitled “Get on Board” which advises business owners how to strategically build advisory boards to fuel organizational growth. 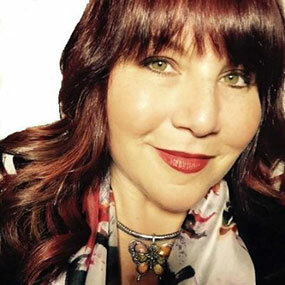 Marissa holds a Master’s Degree in Human Resources Development & Organizational Development, is a credentialed coach certified by International Coach Federation (ICF), is certified in Instructional Systems Design, and is a Certified Mastermind Facilitator. 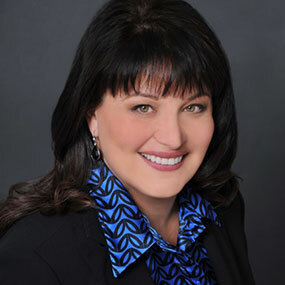 Carol Rieg is President of Rieg and Associates, a public relations and government affairs firm. Recently Ms. Rieg served as the Corporate Foundation Officer of Bentley Systems, the global leader with comprehensive engineering software solutions for advancing the design, construction, and operations of infrastructure with $650 million in annual revenues and 3,000 colleagues located in over 50 countries. Ms. Rieg joined Bentley Systems in 2008 and, while there, was responsible for establishing and building the corporate global giving program with financial support focused on STEM (Science, Technology, Engineering and Math) outreach programs located in 18 countries throughout North America, South America, Europe, Africa and Asia, matching donations to support natural disaster relief efforts and employee volunteer leadership and engagement. From 1992 to 2008, Ms. Rieg co-founded and served as national director of the Future City Competition program reaching 500,000 middle school students nationwide through the DiscoverE Foundation. The Future City Competition “STEM based” program continues to operate in 37 regions impacting 35,000 middle school students on an annual basis. 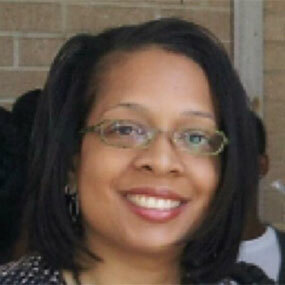 Ms. Rieg raised more than $800,000 on behalf of the Future City Competition from corporate and nonprofit resources. Ms. Rieg is also a member of the Board of Directors for Global Impact and Mid-Atlantic Federal Credit Union, a $275 million community-based financial institution. 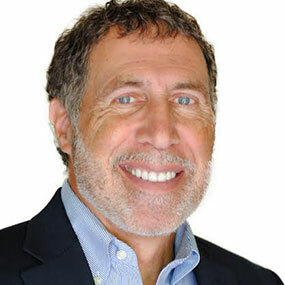 Howard Ross is the Founder and Chief Learning Officer of Cook Ross, Inc., and an organizational development consultant and educator, experienced in developing corporate and community programs. He is considered one of the world’s seminal thought leaders on identifying and addressing unconscious bias. He is the author of ReInventing Diversity: Transforming Organizational Community to Strengthen People, Purpose and Performance, published by Rowman and Littlefield in conjunction with SHRM in 2011, and his recent Washington Post best seller, Everyday Bias: Identifying and Navigating Unconscious Judgments in Our Daily Lives, published by Rowman and Littlefield in 2014. Cook Ross programs have focused on the areas of corporate culture change, leadership development, and managing diversity. Cook Ross has successfully implemented large-scale organizational culture change efforts in the area of managing diversity and cultural integration in academic institutions, professional services corporations, Fortune 500 companies, and retail, health care, media, and governmental institutions in 47 of the United States and over 40 countries worldwide. In addition, Howard has delivered programs at Harvard University Medical School, Stanford University Medical School, Johns Hopkins University, the Wharton School of Business, Duke University and Washington University Medical School and over 20 other colleges and Universities. Howard has also served as the 2007-2008 Johnnetta B. Cole Professor of Diversity Professor of Diversity at Bennett College for Women, the first time a white man had ever served in such a position at an HBCU. His writings have been published by the Harvard Business Review, the Washington Post, the New York Times, Fast Company Magazine, Diversity Women Magazine, Forbes Magazine, Fortune Magazine and dozens of other publications. He appears monthly on National Public Radio. Howard has served on numerous not-for-profits boards, and currently serves on the Diversity Advisory Board of the Human Rights Campaign, the board of directors of the Dignity and Respect Campaign, and the board of the directors for the National Women’s Mentoring Network. Sheryl is an accomplished executive leader, entrepreneur and business strategist. As an avid product developer and fintech pioneer in the area of global payments, she has remained at the center of innovation throughout her career. 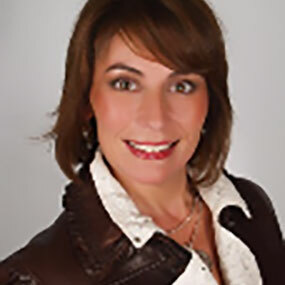 Currently Sheryl is consulting as Chief Marketing Officer and Head of New Ventures for a Connecticut based engineering and technology services client specializing in industrial automation. In her previous role, she was Senior Vice President of Loyalty Solutions at MasterCard where she successfully led the global expansion of the cardholder services business, achieving sustained double-digit revenue growth. During her 19-year tenure at MasterCard, Sheryl launched several profitable businesses and held executive leadership roles in core products and emerging payment technologies. She is also the co-inventor of two US patents. Management consulting has been a key part of Sheryl’s professional repertoire as well. During her tenure at Cap Gemini, she was instrumental in helping major multinational corporations achieve impactful results in M&A, technology integration, corporate strategy and business transformation. Championing the advancement of the next generation of leaders is a particular passion for Sheryl. She is a member of the Board of Directors for the Girls Scouts of Connecticut where she also serves on the Executive Committee, STEM Advisory Council and Camp CEO executive team. She is also a member of the International Women’s Forum where she spearheads statewide sponsorship of STEM programming for middle school girls as part of the organization’s development and outreach efforts. 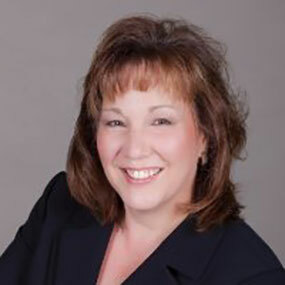 Sheryl earned her MBA from The Wharton School, University of Pennsylvania in Marketing and Strategic Management and her BA in Computer Science from New York University. Mario holds a doctorate in mechanical engineering, with expertise in machineries and equipment for oil and gas industries. He spent over a decade as the Executive Vice President for GE/Nuovo Pignone for the North American market,1986-2000. Currently, Mario is the president of Soncini Consulting Corporation, which he founded in 2000 as a marketing consultancy based in Washington, DC. 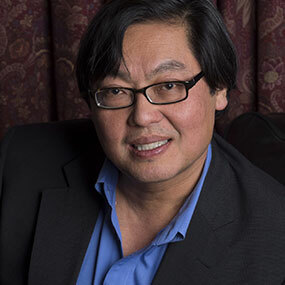 Mr. Tien Wong is Chairman and Chief Executive Officer of Tech 2000, Inc., a Virginia-based EdTech company providing e-learning, learning analytics, and mobile sales enablement software to Fortune 500, education, and government clients. An active angel investor, he is also Chairman of Opus8, Inc., a private investment and consulting firm which helps private equity and venture capital funds raise capital overseas. In his career, he has raised over $1 billion in equity, debt, and mezzanine capital for a variety of corporate finance and commercial real estate transactions. He has placed capital from pension funds, insurance companies, banks, and publicly traded business development companies. Mr. Wong received the 2001 Ernst & Young Entrepreneur of the Year award for Greater Washington and the 2003 Ernst & Young Performance Excellence Award. He is a 2012 and 2013 Washington Business Journal “Power 100” selection as one of the region’s most influential leaders, and a three-time SmartCEO Magazine selection as a “Smart100” CEO (’09, ’10 and ’11). Mr. Wong was appointed by Governor Martin O’Malley to the 9-person Maryland Venture Fund Authority which oversees $84 million in venture capital allocations, and he serves on the Investment Advisory Board of the Commonwealth of Virginia’s Center for Innovative Technology GAP Fund. He is an Entrepreneur in Residence at Georgetown University’s McDonough School of Business. He has served as Treasurer and National Board Member of the American Teleservices Association; Trustee of the Baltimore Symphony Orchestra, and on the Boards of the Technology Council of Maryland and Association for Corporate Growth. He is a graduate of Dartmouth College.